Robert Nielsen, certified golf course superintendent at Bedford (N.Y.) Golf & Tennis Club, has earned the 2019 Excellence in Government Affairs Award from the Golf Course Superintendents Association of America (GCSAA) for his passion and hard work in advocating for the golf course management profession. GCSAA annually recognizes a chapter, coalition or superintendent for outstanding advocacy or compliance efforts in government affairs. Nielsen grew up in Bedford and took a job at Bedford Golf & Tennis Club in 1982 while pursuing a college degree in accounting. He eventually became superintendent in 1991. When Nielsen, a 28-year member of GCSAA, was elected president of his GCSAA-affiliated local chapter, the Metropolitan Golf Course Superintendents Association, in 2010, one of his primary goals was to establish stronger relationships with his local Westchester County Board of Legislators as well as the New York State Senate and Assembly. Regionally Nielsen served as New York's representative for the Chesapeake Bay Watershed Committee, and he's attended National Golf Day in Washington, D.C. Through GCSAA's Grassroots Ambassador Program, which pairs superintendents with members of Congress, he has had the opportunity to discuss issues pertaining to the golf industry with Senate Minority Leader Chuck Schumer (D-NY). Capitol Hill isn't the only place where Nielsen has been proactive in educating others about the role of golf course superintendents. Along with other members of the MetGCSA and representatives from Cornell University, Nielsen was a driving force behind the creation of the Best Management Practices (BMPs) for New York State Golf Courses. In 2017, Nielsen spearheaded the process of transitioning the New York BMP committee into the New York State Golf Course Foundation and serves as its treasurer. The foundation was created to sustain the BMP project for years to come. "The relationships that we have developed with state legislators and regulators through the BMP process is one of the things I am the most proud of," Nielsen said. "Even those who aren't that fond of golf can get behind BMPs." In addition to serving as a Grassroots Ambassador, Nielsen has been involved on a national level with GCSAA as a chapter delegate and on the association's Government Affairs Committee, Nominating Committee, Research Proposal Review Committee, BMP Task Group and Environmental Awards Task Group. Currently, he serves on the inaugural board of the GCSAA Political Action Committee, which launched in 2017. "As an association, we are so fortunate to have an engaged member like Bob, who is a true servant to his superintendent peers and the industry," said Rhett Evans, GCSAA chief executive officer. "He works diligently to teach lawmakers and the general public about the many benefits of golf and the key issues that can affect the future of the game. I thank him for his efforts and congratulate him on this honor, which he has earned for his tireless dedication." Nielsen will be formally recognized Feb. 5 at the 2019 Golf Industry Show, Feb. 2-7, in San Diego. He will also be featured in an upcoming issue of GCSAA's official monthly publication, Golf Course Management magazine. "When I look at the other people who have won in the past, I am amazed," Nielsen said. "I have worked closely with Chava McKeel (GCSAA's director, government affairs) and her knowledge and assistance has helped me stay active nationally. What GCSAA has done with the Grassroots Ambassadors, National Golf Day and the BMPs gives us the tools that pave the road to make it easy for us to advocate on the national, state and local level." 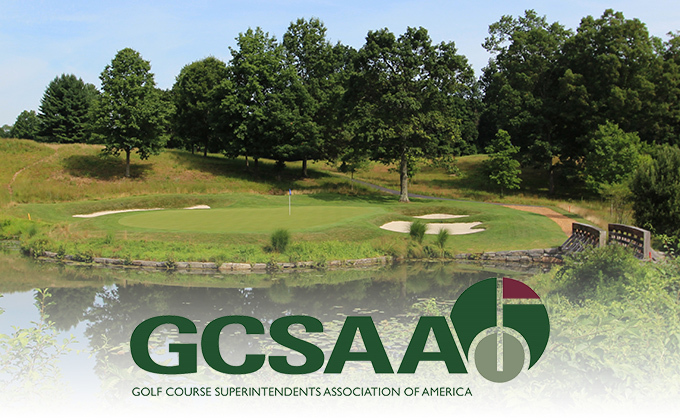 Nominees for the EGA Award were judged by the GCSAA Government Affairs Committee based on how their efforts best serve the interests of the golf course superintendent profession and the golf course management industry.